→What’s The Best Sitting Position For Proper Posture? If you sit at work all day, you’re probably aware of all the chatter about the risks of poor posture on back pain. One of the most common questions I get is ‘What’s the best sitting position for proper posture?’ I just came across a study that may shed some light on giving you the right answer. A study in the Asian Spine Journal looked at the effects of standing and sitting on the lower back curve, or what we call lordosis. They took x-rays of volunteers in the standing position and 5 different sitting positions. The study found that ANY form of sitting drastically reduced the natural spinal curve. However, sitting with a back support and sitting in a 90 degrees chair provided the best sitting option to maintain the natural spine curve. What’s so important about maintaining a natural spine curve? If you’re sitting all day and get aches and pains, you may be thinking about changing your posture. However, a ‘poor posture’ by itself is not necessarily the cause of your aches and pains. There are people out there that sit the wrong way all day and don’t have any pain, while others sit in the right position and suffer excruciating pain. It’s not the posture. It’s the fact you are sitting in a static posture for long periods of time. If you take a 5 minute break every hour and move around, that may do more for you than trying to correct your posture. Take a break every 50 to 60 minutes from sitting. This is mandatory. Use a timer on your phone, computer or watch. 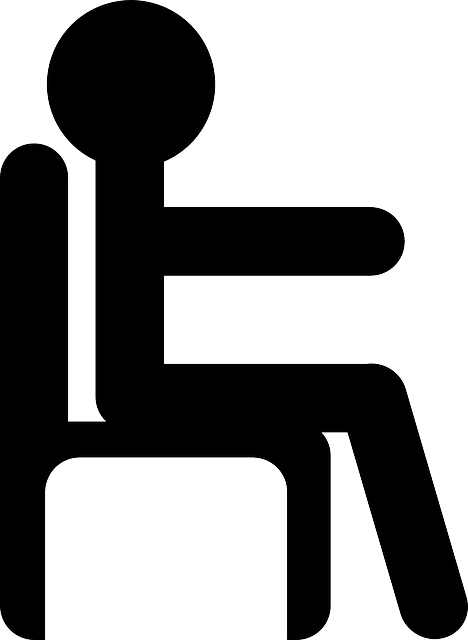 Sit up straight using a back rest and a chair that is at 90 degrees. This doesn’t give you permission to sit for hours at a time. You still need to take that 5 minute break. Our back is always in a forward slouched position when we sit. Do extension exercises or use a back stretcher to take the pressure off your back every day. That’s why I created the Posture Wizard System. Click here to see how a back stretcher can help you.